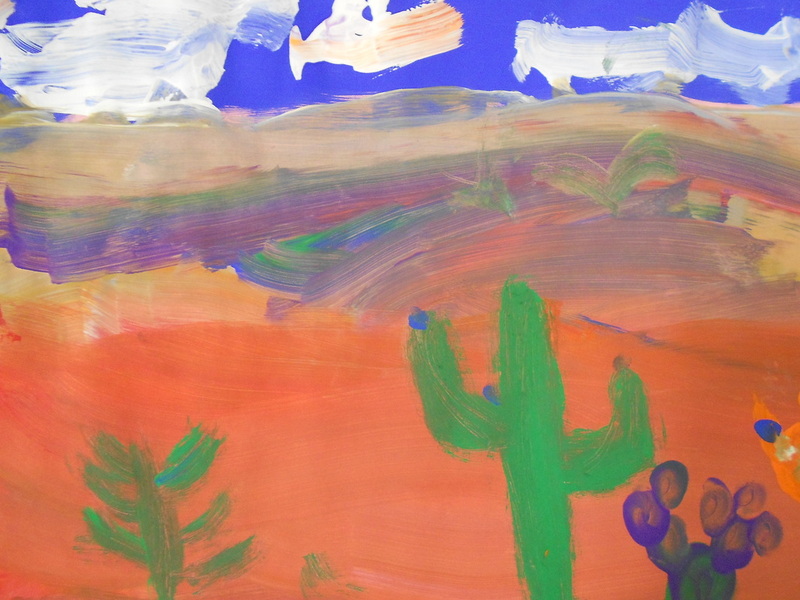 Students develop a beginning understanding of perspective, how an image appears to go back in space. 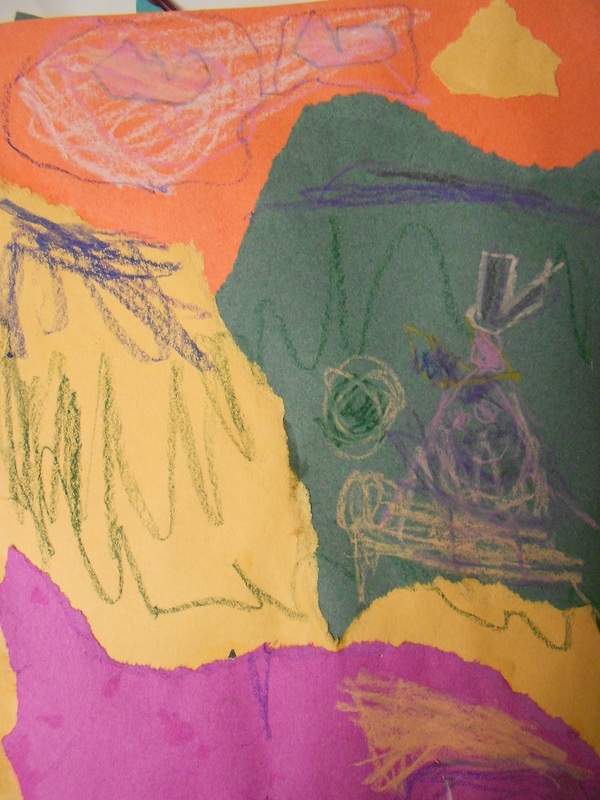 They create a background, middle ground, and foreground by adding layers of torn paper. 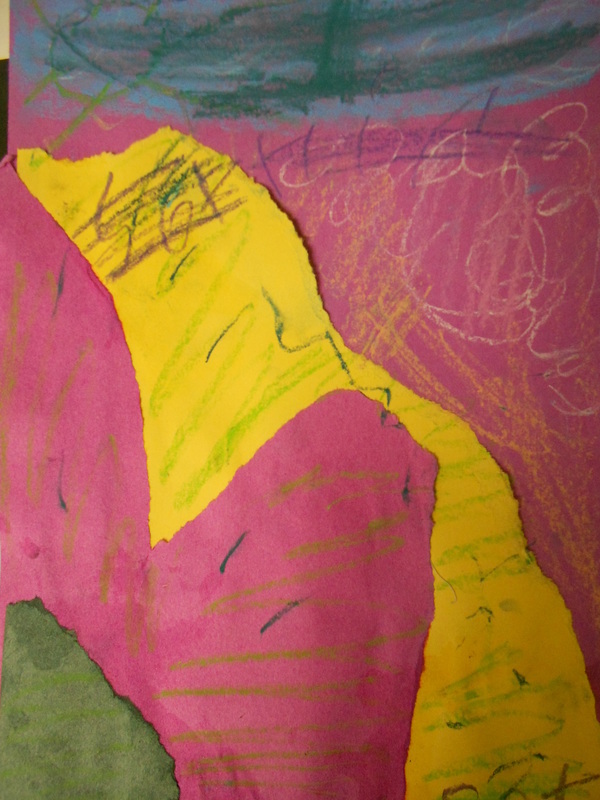 Then with oil pastels they add details in their landscapes. 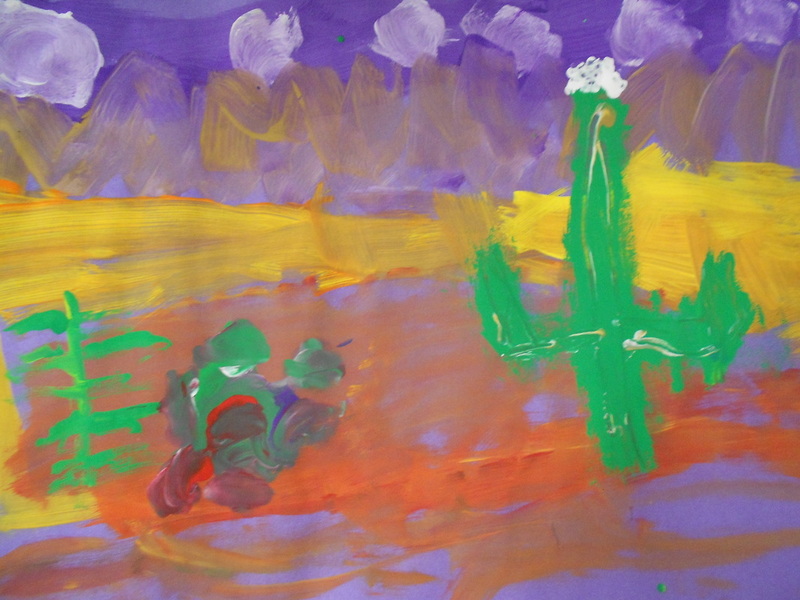 Students discussed the different plants that we see in our local desert. 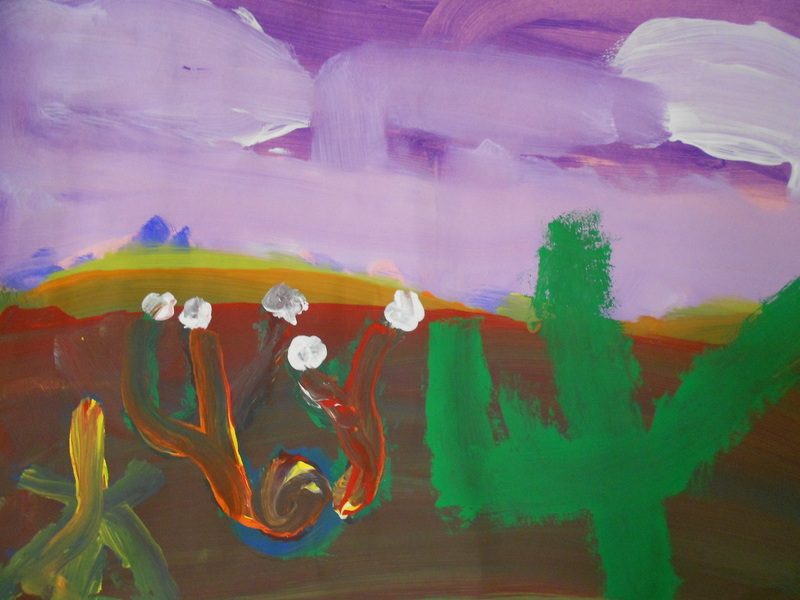 Then, building on their understanding of perspective, they created these landscapes with paint. Students learned to work from the top of the page to the bottom beginning with the farthest away object (sky) to the closest object (plants). 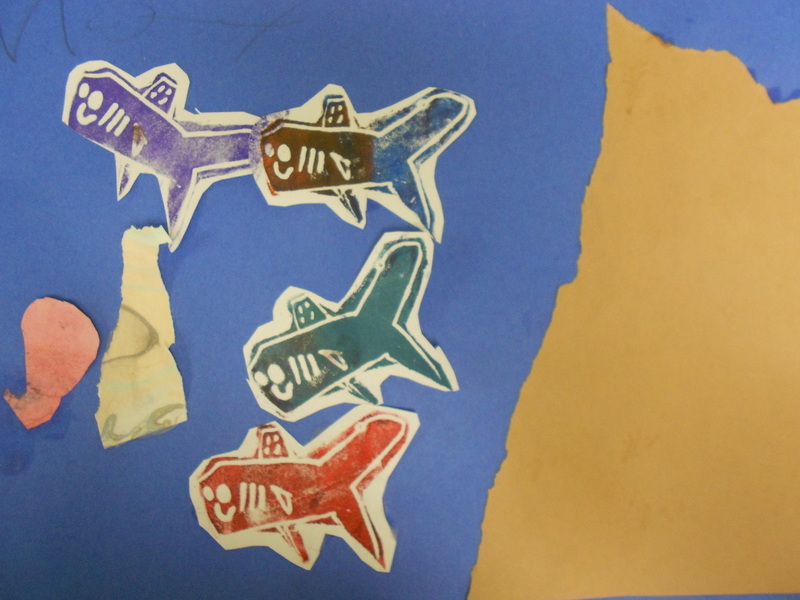 Students were introduced to the traditional Japanese art form Gyotaku, where artists print with real fish. 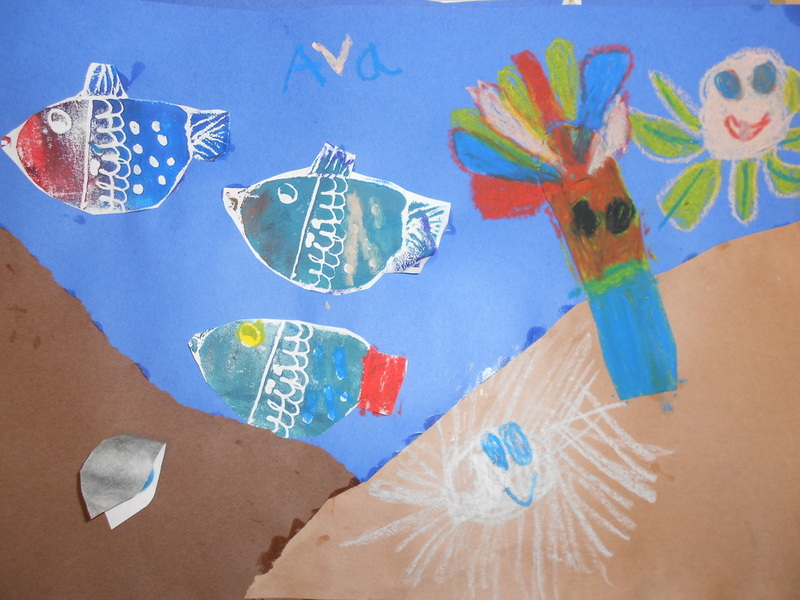 But instead of using stinky fish, students designed their own fish and included shapes and lines to create a pattern. 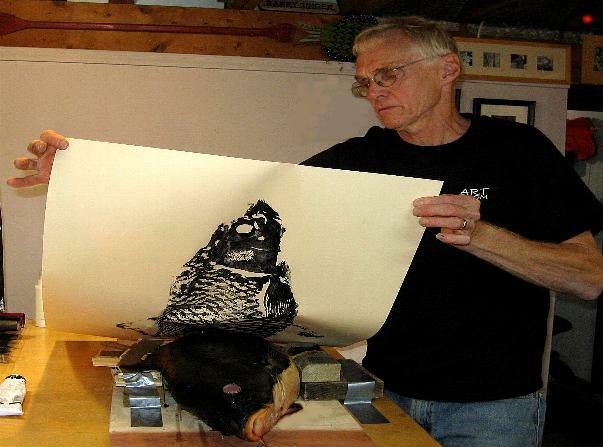 Then with their unique foam printing block, they were able to print as many fish as they could using brayers and ink.